16 days ago to the day, our Alex penned a piece about a really grand iPad app, Writer. I concur with the points he makes, but for writers, bloggers and journalists, $4.99 could possibly prove too steep a price to pay for an app. 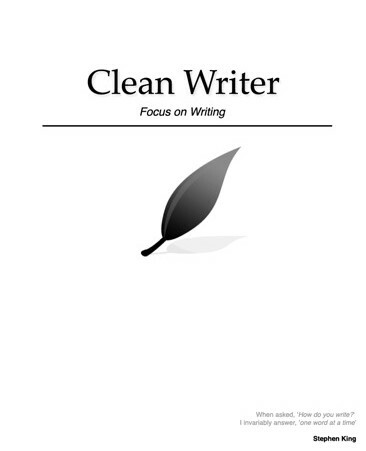 Clean Writer, at only $.99, provides almost identical features as Writer, at a fraction of the cost. Something anyone with an eye towards saving can appreciate. Clean Writer is a minimalist text editing app, allowing one to focus on writing. Nothing more, nothing less. What Clean Writer lacks in functions it makes up for in style. The interface was designed with great care using discrete buttons and colors, in order to remove distractions, with your attention on nothing but the words in front of you. Delete files from the file list table, by swiping over and pressing the Delete button. Dropbox integration for online sync with files from your computer and backup. Clean Writer is Writer, but on a budget. The only two features it lacks which Writer features are “Focus Mode, ” and “Reading Time.” Two nice items, but not enough for those who want an app with equally grand functionality while saving 80% of their discretionary income devoted to apps. Pick up Clean Writer and let us know what you think. If you have both, or have looked into either, which one will you choose and why?